Anti-graffiti window films are designed to protect glass that issusceptible to scratches and burrs from daily use as well as vandalism. Protecting expensive glass with inexpensive clear, undetectable window films just simply makes sense. Our team of installers can install our films during evening and early morning hours, while most people are not around. 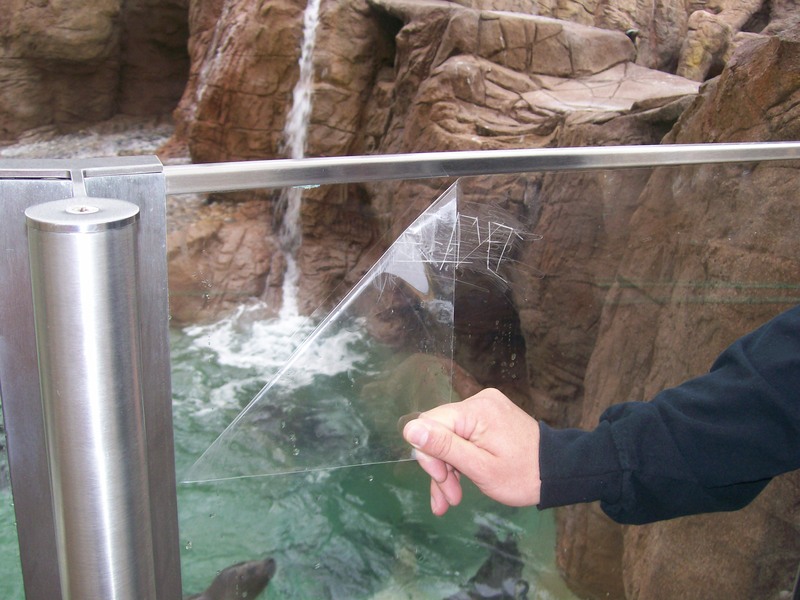 Keeping a low profile on the treated glass will help reduce the exposure to further vandalism. For many years now DSG has been servicing many retailers, shopping centers, and famous destinations like the San Diego Zoo, and the Honda Center of Anaheim. Saving our customers money with this product has become a very big part of our business. We’ve installed these films all over the country with great success. Our anti-graffiti program has coined a moto…”When it comes to graffiti, the best action is out of sight out of mind”. What do we mean by that? We have found that many of our customers spend less and less annually on repairs by utilizing our services. Year one seems to be a more expensive year but year two and year three on our service program, our customers find that their maintenance costs are very minimal. Perhaps not so good for us but it is great for our customers, which is most important. Removing graffiti or damaged film quickly stops the breeding of additional graffiti. Usually a vandal will see graffiti and then add to it with his or her own signature. Once that grows, so does the problem. Controlling that problem and creating a graffiti free environment will greatly reduce the amount of continued damage. We have proven it with many of our customers and would be more than happy to do it for you too!